I designed and made this blanket for Wheelchairs for Kids in Perth Western Australia, a charity that makes wheelchairs for kids in disadvantaged countries. With every wheelchair they give the child a 90cm x 90cm blanket and a stuffed toy. They also give the family a full-sized blanket as well. 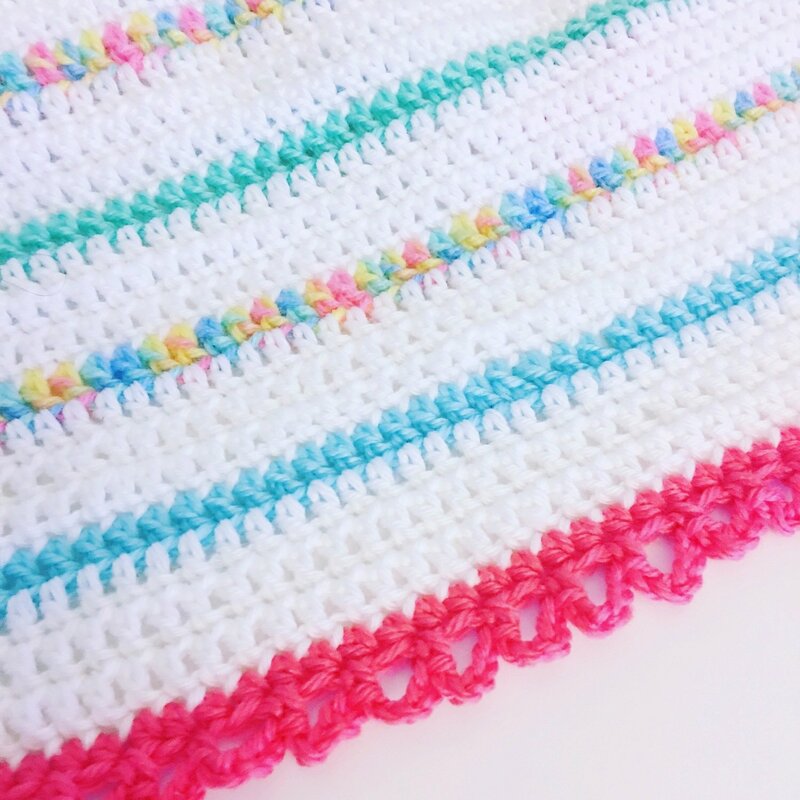 I created this blanket so that I could use up some cheap acrylic that I had in my stash – the rainbow and coloured stripes – and I teamed it up with a good quality Patons acrylic. It was a wonderful way to use up the not so good yarn and still have a blanket that is soft and durable! made with half double crochet (half treble) and chain stitch and slip stitch.